LEE. 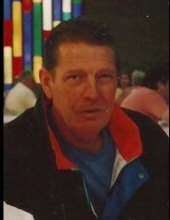 James Wilbur - Age 77, of Skidway Lake formerly of Swartz Creek, died February 10, 2019. Funeral services will be held 12:30PM Friday, February 15 at Sharp Funeral Homes, Miller Road Chapel, our temporary location at Hill Creek Church, 5363 Hill Rd., Swartz Creek. Burial at Great Lakes National Cemetery, 4200 Belford Rd., Holly. Visitation will be 4-8PM Thursday and 11AM until time of service on Friday at Hill Creek Church. In lieu of flowers those desiring may make contributions to the Wounded Warrior Project or the Humane Society of Genesee County. James was born October 3, 1941 in Flint the son of John and Eva (Wisley) Lee. He was a Veteran of the U.S. Army. He retired from Precision Auto Repair with over 20 years of services. He was a mechanic in the Genesee County area for many years. He enjoyed Nascar Racing. He liked to race snowmobiles and Drag cars. He is survived by. sweetheart, Judy Goschka of Skidway Lake; beloved pets, dogs, Scooter and Sadie; cat, Newty; children, Lisa ( Jerry) Kerley of Swartz Creek, John Lee of Flint; grandchildren, Lorna Lee of Detroit, Timothy-James of Swartz Creek, Chrystee Kerley of Swartz Creek; sister, Donna Johnson of Flint; many nieces and nephews, step children, and great grandchildren. He was preceded in death by his parents; sister, Leona Young; brother, Jack Lee. To send flowers or a remembrance gift to the family of James Wilbur Lee, please visit our Tribute Store. "Email Address" would like to share the life celebration of James Wilbur Lee. Click on the "link" to go to share a favorite memory or leave a condolence message for the family.